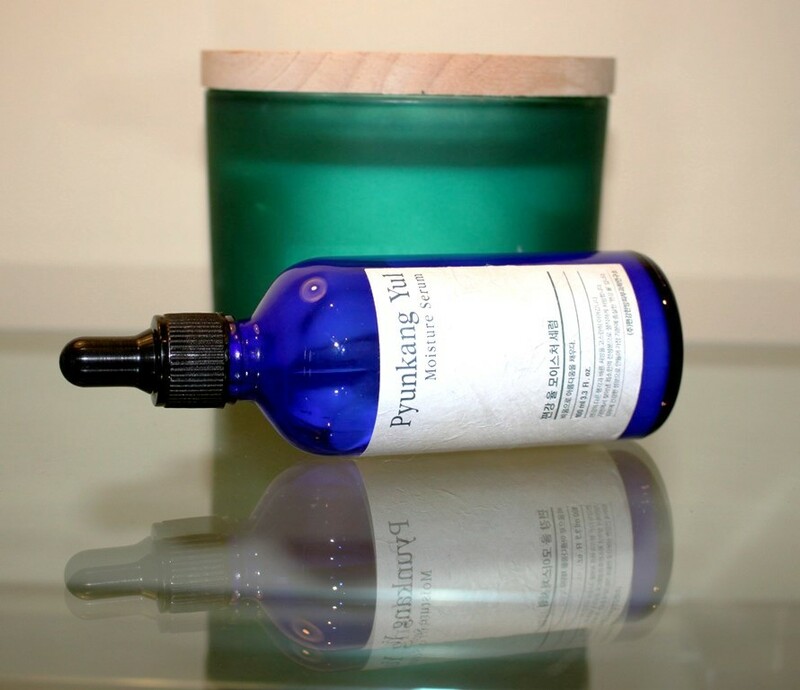 The Pyunkang Yul Moisture Serum aims to deliver the optimum moisture/oil balance for a healthy complexion and calming/cooling effect whilst also providing deep hydration. Staying true to their belief that less is more, the moisture serum by Pyunkang Yul includes a minimum of gentle ingredients, free of fillers, fragrance/colour additives and texture enhancers for maximum effect. The hero ingredient of the serum is Coptis Japonica Root Extract, an Asian herb usually cultivated for medicinal purposes. It displays antioxidant and anti-inflammatory behaviours and has proven successful for treating skin disorders. This is combined with Olive Oil which offers deep hydration to the skin and strong antioxidant properties. Together this duo protects, calms and hydrates. 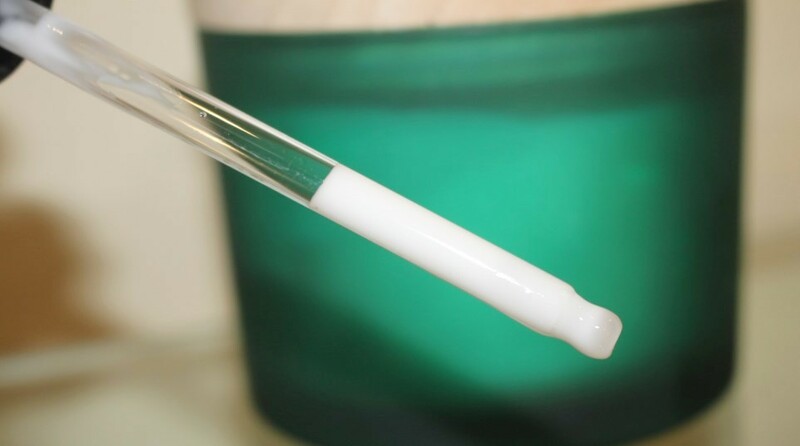 Next in the formulation, Butylene Glycol is represented at the highest concentration. It is often added to enhance both the mixing compatibility and penetration of other ingredients, ensuring they soak deep into the skin layers for maximum effectiveness rather than just sitting on the surface. Butylene Glycol displays humectant properties, drawing moisture to the skin from the atmosphere for better hydration. It also helps to thin product consistency for quicker absorption. Caprylic/Capric Triglyceride is an emollient derived from coconut oil and glycerin. Fatty acid content helps replenish the skin surface and resist moisture loss. Remaining ingredients are included for their effective humectant, emollient, softening and emulsification properties. 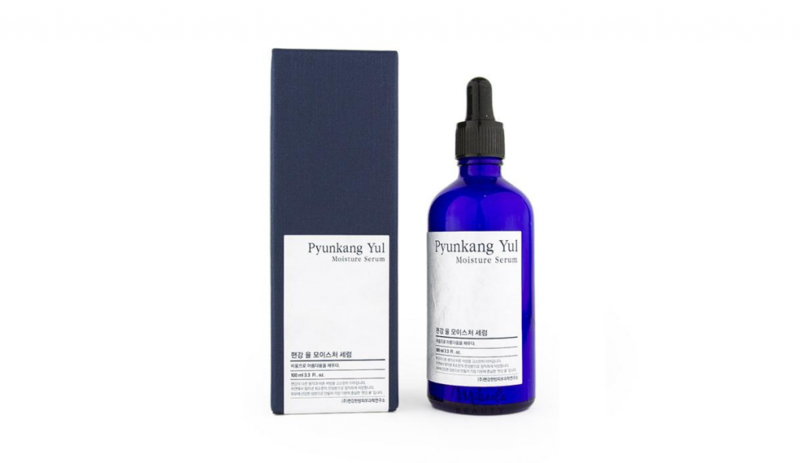 The Pyunkang Yul Moisture Serum comes in a sleek, blue tinted glass bottle with dropper lid. All products in the line are packaged for a consistent brand presence. 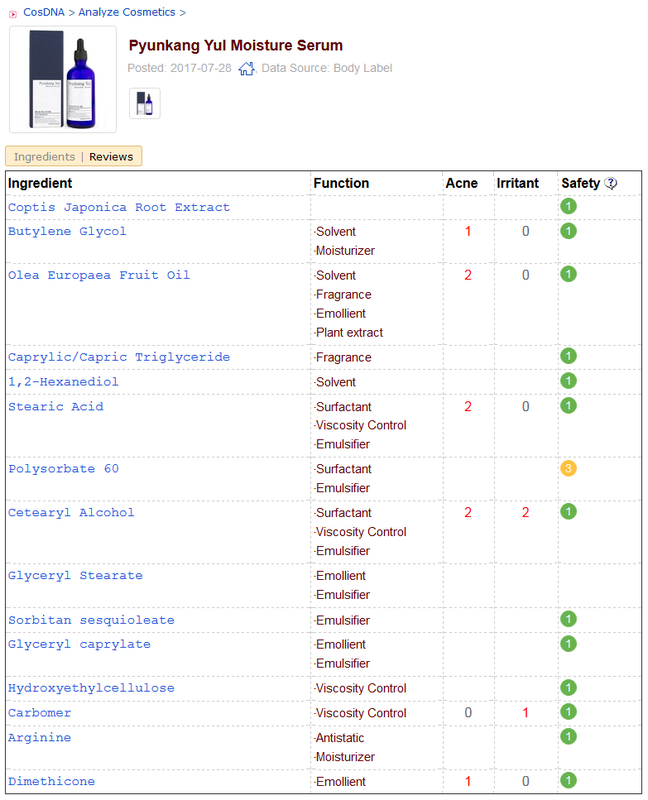 A compact selection of gentle ingredients assures both the CosDNA and EWG reports return an ideal low hazard rating. After cleansing and toning, dot serum on forehead, nose, cheeks and chin. Gently pat into face and neck for full absorption. I didn’t detect any noticeable scent with this product. 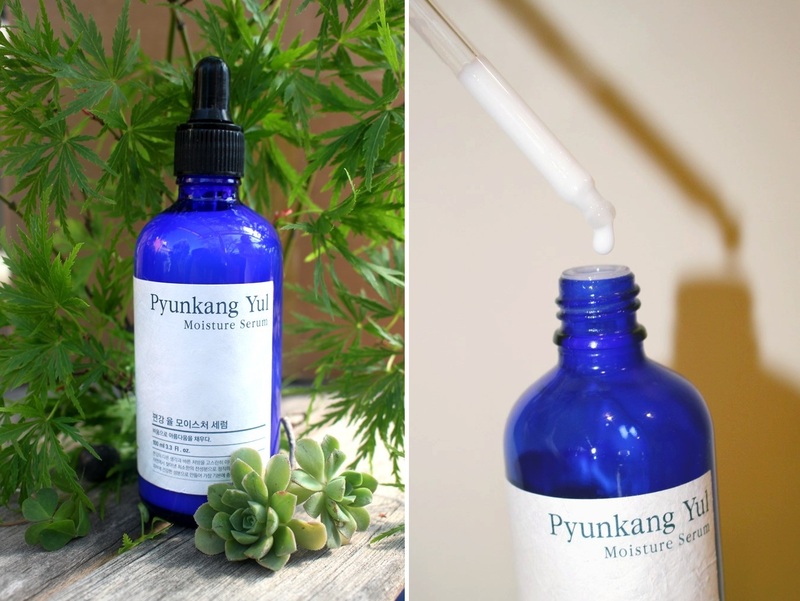 A 100ml bottle of the Pyunkang Yul Moisture Serum costs approximately US$25.00. Although the brand is still relatively young, its fast growing popularity has seen it become a regular listing in many popular Korean skincare boutiques. It can be found online for Australian customers. I purchased mine from Style Korean. The product has a shelf life of two years and expiry of 12 months after opening. 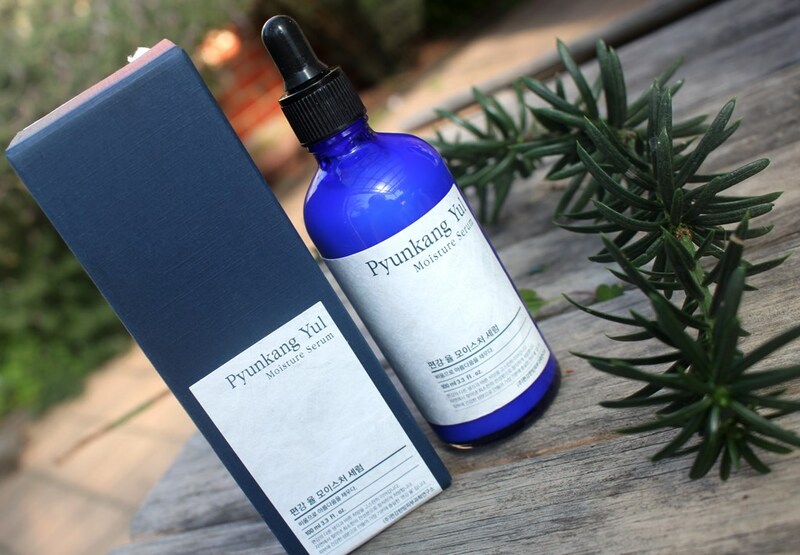 The Pyunkang Yul Moisture Serum is an emulsion serum, a lightweight blend of oil and water based ingredients. The packaging is minimalist and sleek. The dropper dispenser is not as effective or hygienic as a pump but a fairly standard alternative in terms of packaging. The pipette is however cumbersome to use as it never fills past approximately one third of the maximum dropper volume, usually requiring more than one refill per application. This could be a fault with the hardware or it may be a design feature, encouraging only the recommended amount of product to be drawn each time. Regardless, I don’t like it. I would prefer to fill the pipette and then dispense drop by drop until I reach the desired amount. Not a great start, however, on the bright side, this is probably my only gripe about this product. The serum has a lightweight lotion-like consistency with a glossy, milky appearance. It is fragrance free which always appeals. Absorption is lightning fast and leaves no sticky residue. It is subtly moisturising and instantly refreshing. Application delivers a cooling and calming effect to the skin upon contact. It doesn’t pill, plays well with other skincare and makeup and can even be layered, much like a toner, although being thicker, two skins is more than enough. 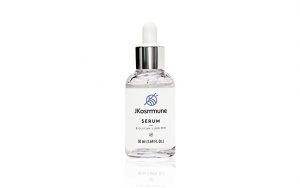 A large 100ml bottle ensures this serum lasts at least 6 months with daily use. I have been applying it 1-2 times a day, often combining it with my LJH Vita Propolis ampoule. Additionally, if I need to cleanse in the afternoon, I will often just make up a mini routine and apply this after toning to keep my skin hydrated until evening. It is highly compatible with other skincare and can be added to other products to loosen their consistency and enhance slip, aid hydration, absorption or improve the base for makeup application. Low hazard ingredients assure it is suitable for all skin types, including sensitive. I have combination, maturing skin and found that this serum worked very well to better balance my oily T-zone as claimed. This makes it a great option for combination/oily skin types whilst the hydration boost is provides suggests it would be an effective inclusion for those with dry skin. 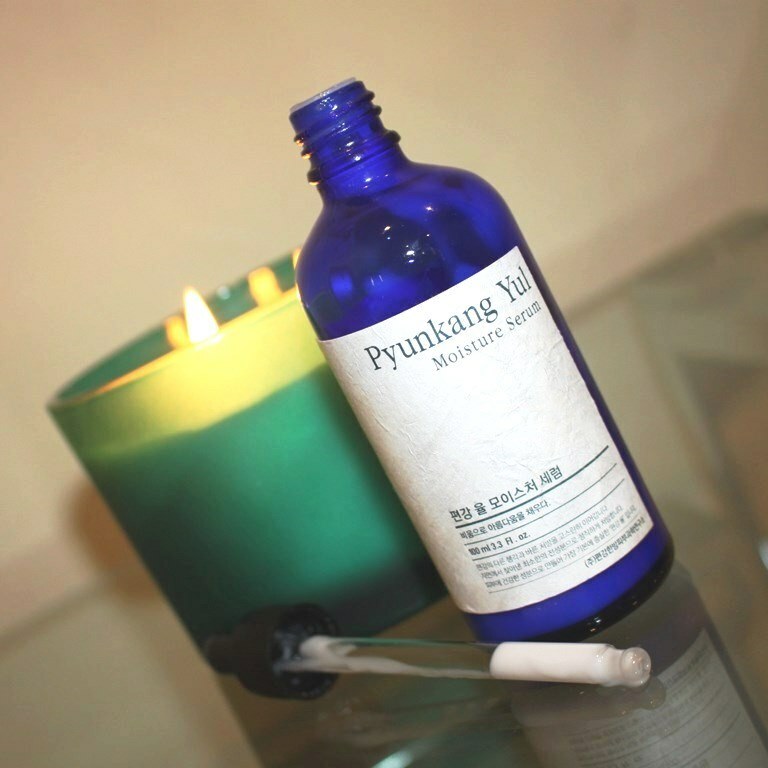 The Pyunkang Yul Moisture Serum is very pleasant to use. The results are as light as the product itself, easily incorporated into a routine to boost hydration and balance oil. I have almost finished my first bottle, using it fairly consistently over the last five months and won’t hesitate to repurchase. 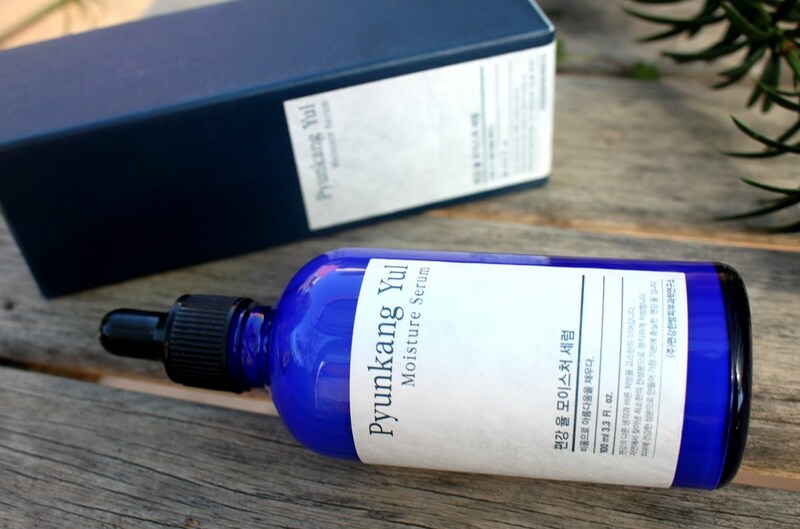 I have been very fortunate to select five products from the Pyunkang Yul product line that I have really enjoyed. (Reviews for the Essence Toner and Moisture Lotion are available with the Cleansing Foam and Moisture Cream currently being trialed).